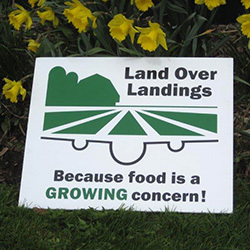 Land Over Landings lawn signs will show your support for the cause. Signs are 18″ x 24″ coreplast. 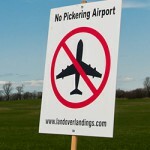 You can order NO PICKERING AIRPORT! 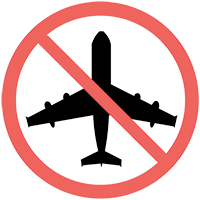 in red and black on white or the Land Over Landings logo in green and black on white. Or order both! All signs include stakes and hardware and are $15 each. Additional donations are very welcome! You can order here.